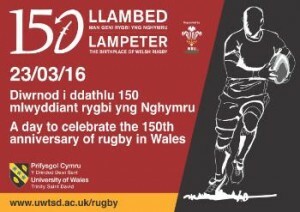 One of the great delights of Lampeter campus students and academics is the pre-eminent position of Lampeter in the history of Welsh Rugby. 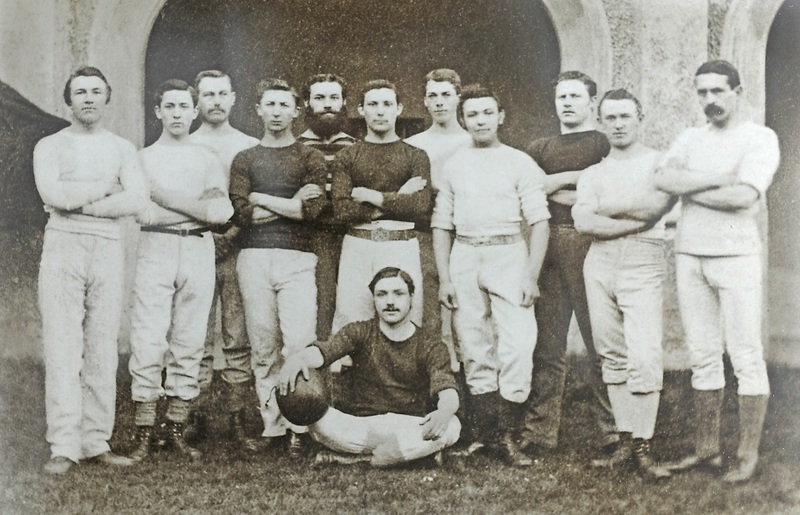 The 2015 /2016 season is the 150th anniversary of the first competitive rugby match ever played in Wales. The game was played on the University’s playing fields in the town and the match was between St David’s College (now UWTSD) and nearby Llandovery College. UWTSD is celebrating the anniversary on the 23rd of March. 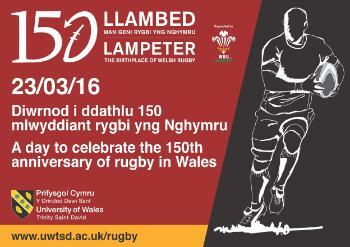 Find out more about the celebrations in the UWTSD Press Release.